A ziplock freezer bag full of raw egg yolk and chopped up vegetables in a pot of boiling water may not sound like the most appetizing way to make an omelet, but this technique definitely works when you're camping and don't have a stove. There are tons of things you can do with your camping equipment to make your trip a little easier. Keep your roll of toilet paper dry and safe in an empty coffee can. Make sure your matches don't get wet by storing them in empty film canisters or pill bottles. For an easy fire starter kit, soak cotton pads in Vaseline or fill a cardboard toilet paper roll with dryer lint. To avoid mosquito bites, drink apple cider vinegar before leaving for your trip. Burn a bundle of sage in the campfire to keep bugs mosquitoes away. And if you're ever confronted by a bear in the wilderness, make sure you know the difference between a black bear and a brown bear. Happy camping! ...then, put them in a covered bucket in your car while you drive, and the splashing/jiggling/bumping around will agitate. ....then, put them in fresh water and do the same thing to get the soap out. Do this only if you have to drive around, of course! Otherwise, it is a waste of gas. plastic bag + food + boiling water probably = elevated cancer risk and temporary disruption of normal endocrine function due to many plastics abilities to mimic estrogen in our bodies. You know, if you have to worry about dying every single moment of the day from cancer then your not living bro, forget about all the b.s. you read or hear on the net and the news and just enjoy life man. 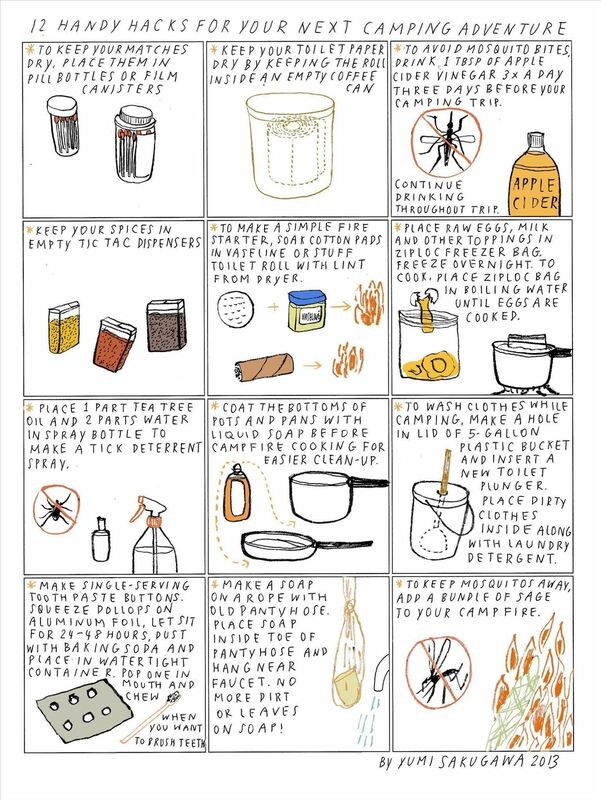 The post is just a cool idea and a simple and easy way to make some quick food while camping. If you don't want to use a ziplock then get a small can, or use a cook pot. I'm just sick of hearing everyone say "your gonna get the cancer if you do this or do that"...your gonna get whatever you got coming no matter what so just live life and enjoy it. Good to know of alternative options / concerns. Thanks for the comments everyone!